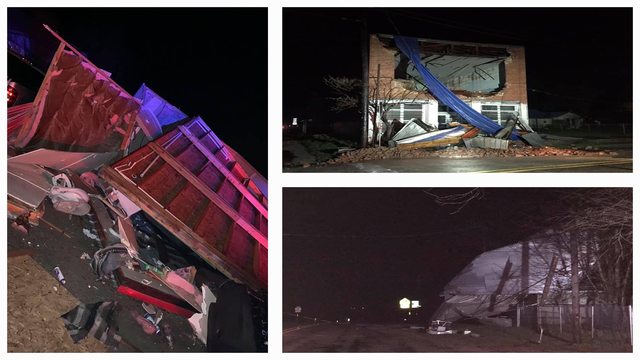 Strong storms overnight caused heavy damage in Zephyr and other Big Country towns. 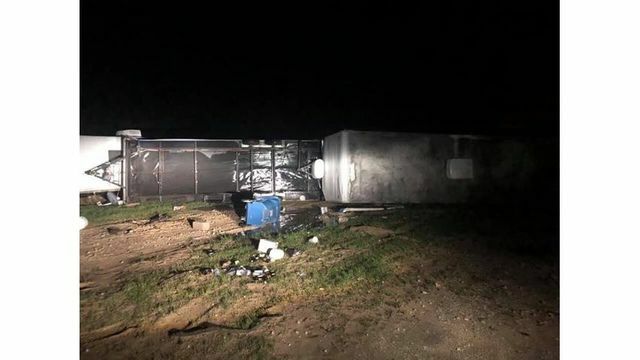 ZEPHYR, Texas (KTAB/KRBC) - The National Weather Service believes a tornado may have touched down in Zephyr overnight. Members of the NWS surveyed the town Wednesday afternoon and determined a lot of the damage, including a home that completely flipped over, was likely caused by an EF0 or EF1 tornado. This means the damaging winds reached speeds in excess of 65mph to 110 mph. The Zephyr Volunteer Fire Department shared pictures of fences and buildings destroyed by high winds, urging citizens and travelers to be cautious due to downed trees and powerlines across their community. Radio station KOXE spoke to Zephyr resident Joe Burkett, whose wood frame house was leveled by the storm, saying, "he’s okay but went for a wild ride." As of 8:50 a.m., Oncor Energy reported more than 130 customers were still without power in Zephyr. More than 200 customers in the Snyder area are also without power, where the National Weather Service may send a crew to survey damage to see if a tornado was in the area. Their fire department was busy all night rescuing people from trailers that flipped on the north side of town. Hundreds of other customers in Taylor County, Brown County, Eastland County, Callahan County, Nolan County, Scurry County, and Mitchell County are without power as well. Rising Star is also experiencing downed power lines and trees, as well as some minor wind damage. Karisa Reid sent a few pictures of damaged property at City Park in Rising Star. In Jones County, phone lines are down around Hwy 180 and there are reports of roofs blown off homes and other buildings. Nolan County is dealing with downed power lines and overturned portable buildings along the I-20 corridor.